Heart Specialist Must Read,Heart Specialist,Chat with a Heart Specialist must read mail for all. Heart Specialist Bangalore was arranged by WIPRO for its employees. 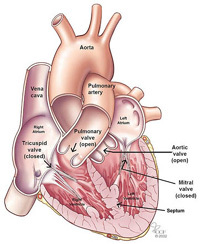 Qn : What are the thumb rules for a layman to take care of his heart? Diet-Less of carbohydrate, more of protein, less oil. Qn : Is eating non-veg food (fish) good for the heart? Qn : It's still a grave shock to hear that some apparently healthy person gets a cardiac arrest. How do we understand it in perspective? Qn : Are heart diseases hereditary? Qn : What are the ways in which the heart is stressed? What practices do you suggest to de-stress? Ans : Change your attitude towards life. Do not look for perfection in everything in life. Qn : Is walking better than jogging or is more intensive exercise required to keep a healthy heart? Qn : You have done so much for the poor and needy. What has inspired you to do so? Qn : Can people with low blood pressure suffer heart diseases? Qn : How do irregular eating habits affect the heart ? Ans : You tend to eat junk food when the habits are irregular and your body ' s enzyme release for digestion gets confused. Qn : How can I control cholesterol content without using medicines? Ans : Control diet, walk and eat walnut. Qn : Can yoga prevent heart ailments? Qn : Which is the best and worst food for the heart? Ans : Fruits and vegetables are the best and the worst is oil. Qn : Which oil is better-groundnut, sunflower, olive? Ans : All oils are bad. Qn : What is the routine checkup one should go through? Is there any specific test? Ans : Routine blood test to ensure sugar, cholesterol is ok. Check BP, Treadmill test after an echo. Qn : What is the main cause of a steep increase in heart problems amongst youngsters? I see people of about 30-40 yrs of age having heart attacks and serious heart problems. Ans : Increased awareness has increased incidents. Also, edentary lifestyles, smoking, junk food, lack of exercise in a country where people are genetically three times more vulnerable for heart attacks than Europeans and Americans. Qn : Is it possible for a person to have BP outside the normal range of 120/80 and yet be perfectly healthy? Qn : Marriages within close relatives can lead to heart problems for the child. Is it true? Qn : Many of us have an irregular daily routine and many a times we have to stay late nights in office. Does this affect our heart ? What precautions would you recommend? Qn : Will taking anti-hypertensive drugs cause some other complications (short / long term)? Qn : Will consuming more coffee/tea lead to heart attacks? Qn : Are asthma patients more prone to heart disease? Qn : How would you define junk food? Qn : You mentioned that Indians are three times more vulnerable. What is the reason for this, as Europeans and Americans also eat a lot of junk food? Ans : Every race is vulnerable to some disease and unfortunately, Indians are vulnerable for the most expensive disease. Qn : Does consuming bananas help reduce hypertension? Qn : Can a person help himself during a heart attack (Because we see a lot of forwarded emails on this)? Qn : Do, in any way, low white blood cells and low hemoglobin count lead to heart problems? Qn : Sometimes, due to the hectic schedule we are not able to exercise. So, does walking while doing daily chores at home or climbing the stairs in the house, work as a substitute for exercise? out of the chair and going to another chair and sitting helps a lot. Qn : Is there a relation between heart problems and blood sugar? Ans : Yes. Strong relationships since diabetics are more vulnerable to heart attacks than non-diabetics. Qn : What are the things one needs to take care of after a heart operation? Qn : Are people working on night shifts more vulnerable to heart disease when compared to day shift workers? Qn : What are the modern anti-hypertensive drugs? Qn : Does dispirin or similar headache pills increase the risk of heart attacks? Qn : Why is the rate of heart attacks more in men than in women? Qn : How can one keep the heart in a good condition? Ans : Eat a healthy diet, avoid junk food, exercise everyday, do not smoke and, go for health checkups if you are past the age of 30 ( once in six months recommended). Medical Msg : If your alone and if you have symptoms of chest pain that radiates to your arm and up to your jaw, it is a "HEART ATTACK". If No one to help and a hospital is far you cant wait. U have to help yourself. Cough repeatedly and vigorously, Take deep breathe before every cough. Deep breaths gets oxygen to Lungs, Coughing keeps blood circulation alive.